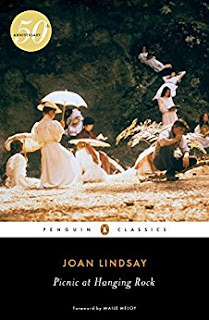 The Penguin Classics 50th anniversary edition of PICNIC AT HANGING ROCK by Joan Lindsay with Forward by Maile Meloy. Widely considered one of the most important Australian novels of all time, PICNIC AT HANGING ROCK stands with Shirley Jackson’s We Have Always Lived in the Castle, Daphne du Maurier’s Rebecca, and Jeffrey Eugenides’ The Virgin Suicides as a masterpiece of intrigue. A six-episode TV series starring Game of Thrones’ Natalie Dormer based on the book is scheduled to be released by Amazon next year. 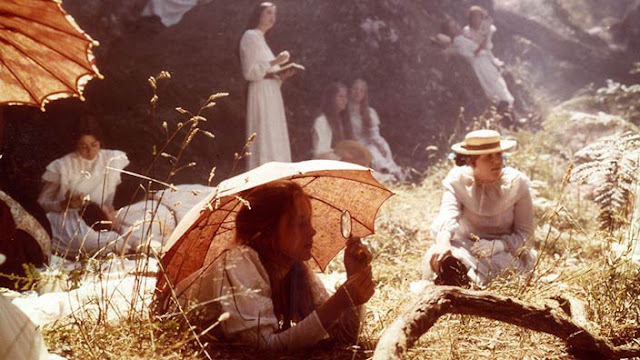 On a cloudless summer day in the year 1900, everyone at Appleyard College for Young Ladies agreed it was just right for a picnic at Hanging Rock. After lunch, three girls climbed into the blaze of the afternoon sun, pressing on through the scrub into the shadows of the secluded volcanic outcropping. Farther, higher, until at last they disappeared…. They never returned. This haunting and mesmerizing story is written as if it is a real mystery. I enjoyed the set up and while I have never watched the movie I feel I did. It is so descriptive and the landscape written so well I could see the beach, the steps, the cliffs, it is truly a must read. Now I feel like I need to see the movie to get the full feel. I've never heard of this...but it sounds like a must read.